ALEKS uses powerful artificial intelligence to track and interpret student learning behaviors down to the individual concept level. With this unique data, instructors can deliver meaningful instruction and remediation right when students need it. Below are just a few examples of the many reports that ALEKS has to offer. 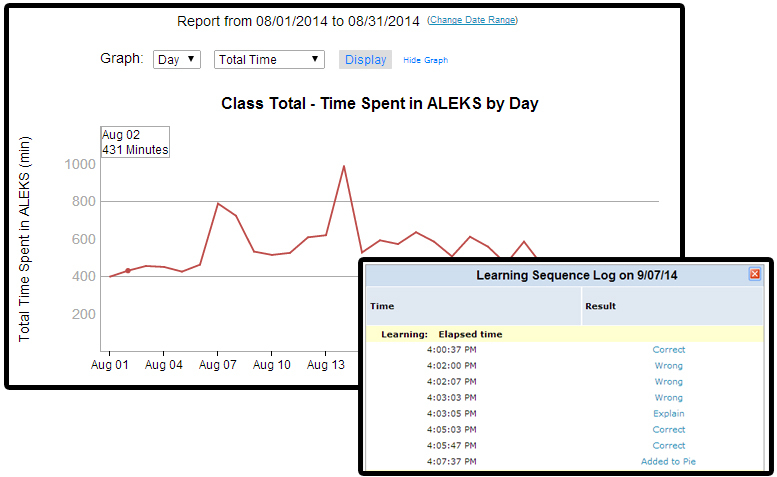 ALEKS tracks student progress in both assessment and learning and displays this data through the Progress Report. 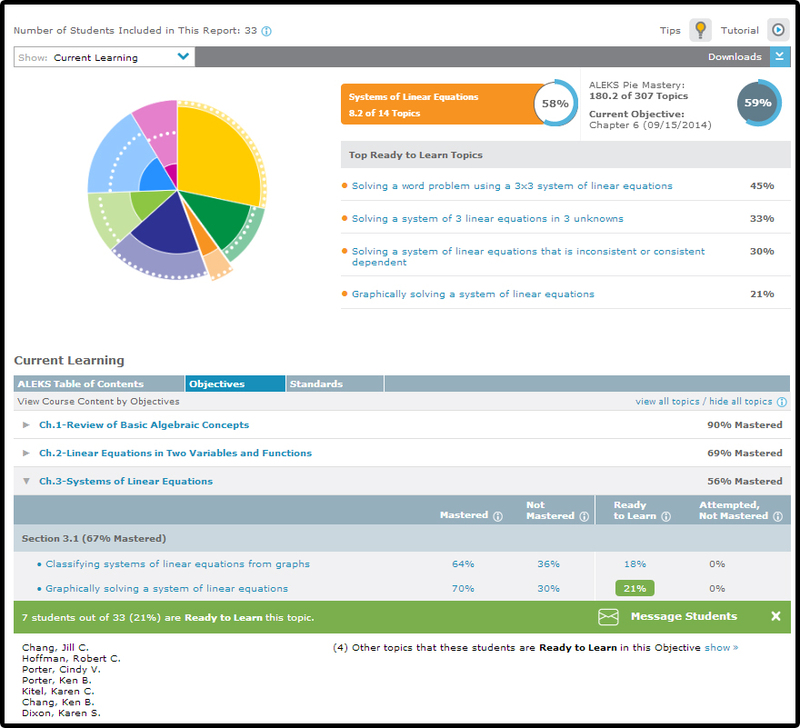 Using this information, instructors can closely monitor overall student progress in the course, define average learning rates, and quickly identify struggling students. The ALEKS Pie Report breaks down student progress at the Objective and individual topic level. Instructors can use this report to view which topics students have mastered, not mastered, lost in assessment, and which topics students are ready to learn. They can then easily group students based on level of readiness, and use the data to inform meaningful instruction. The Time and Topic Report tracks exactly what students are doing in the program, down to the second. Using this report, instructors can view a daily breakdown of how students are spending their time in ALEKS, including the exact answers they input to easily spot common mistakes. To learn more about ALEKS Reports, start an ALEKS Free Trial.